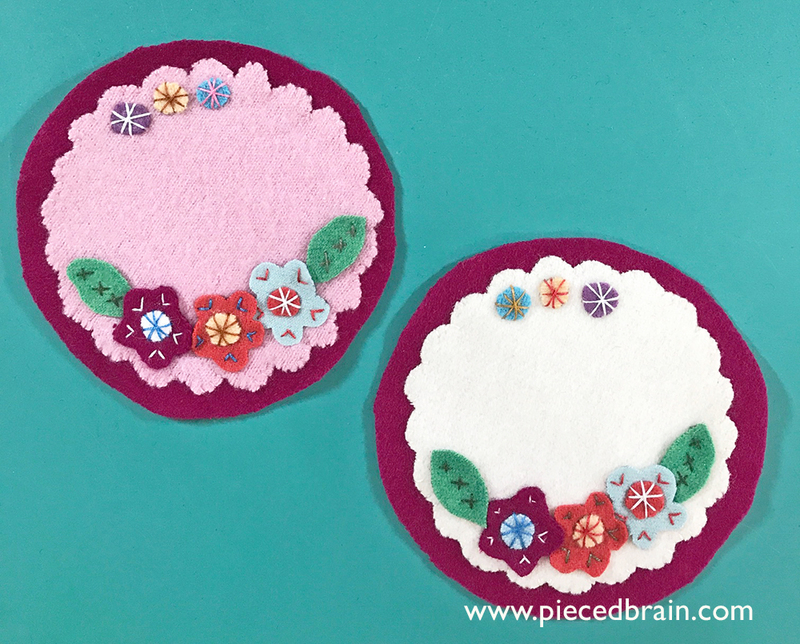 I whipped up two coasters the other night as I am taking every opportunity I have to prepare Christmas gifts. I love them! It took me a couple of hours to make them. Most of that time was spent choosing scraps of wool and cutting the shapes. I transferred the shapes onto plastic templates, traced them on the wool with permanent marker, and cut them. Notice the texture of this pink background - it was recycled from a wool sweater! So were the orange, yellow, and purple pieces. I glued the shapes to the background using disappearing glue, my first time doing it. I usually fuse wool shapes onto the background (watch for a soon-to-come video on my YouTube channel "Denise Russell"), yet the glue kept shapes in place until I was ready to stitch them down. 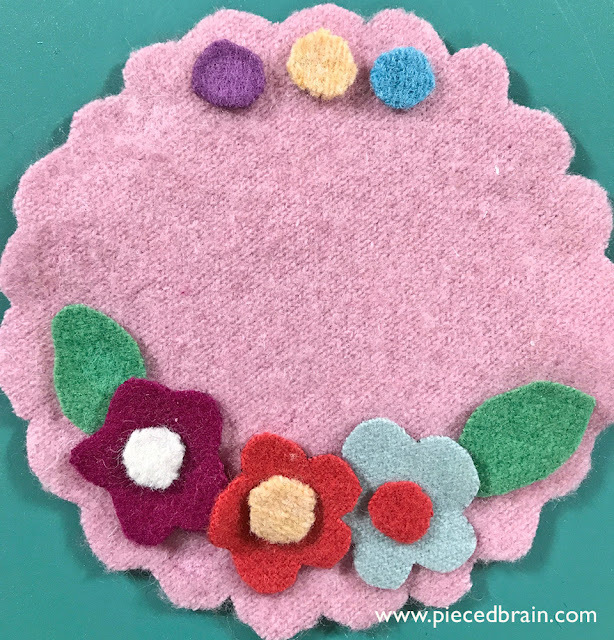 The shapes are stitched in place with the embroidery, making it a super fast project. 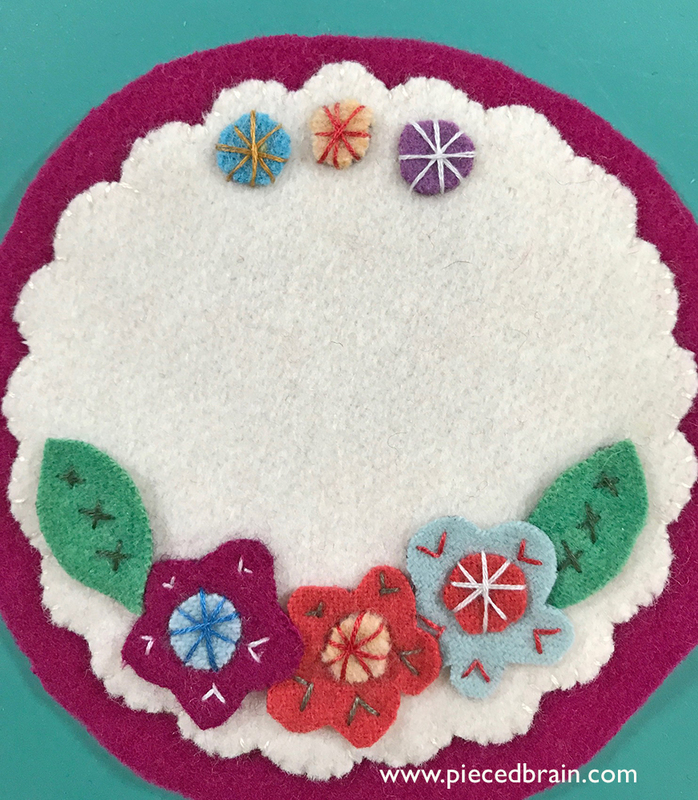 Only the background is whipstitched to the wool burgundy circle. 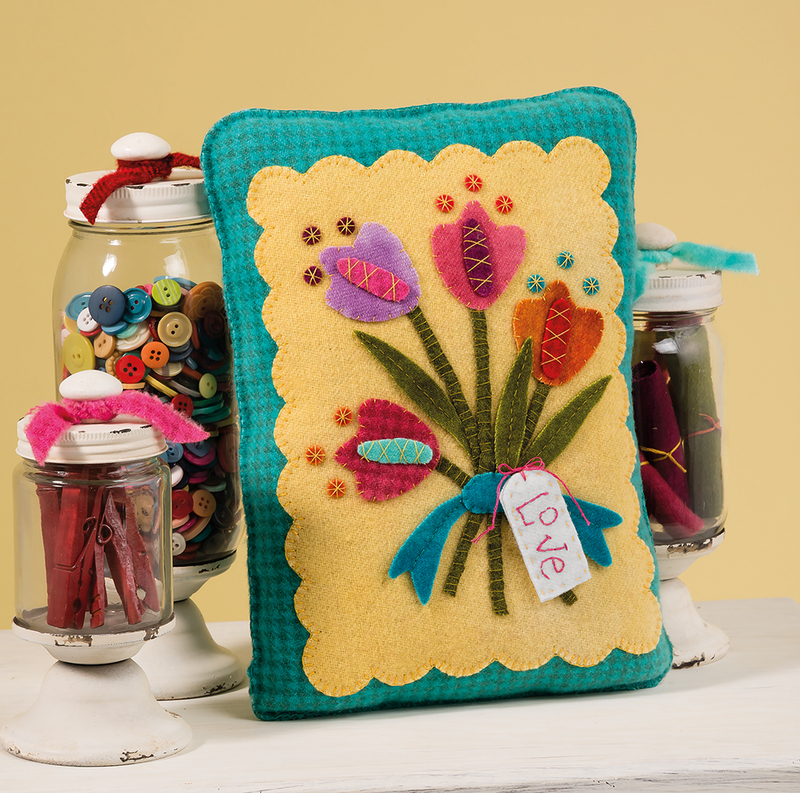 There are over 14 wool projects that, as you can see from mine, are simple, pretty, and fast to stitch. 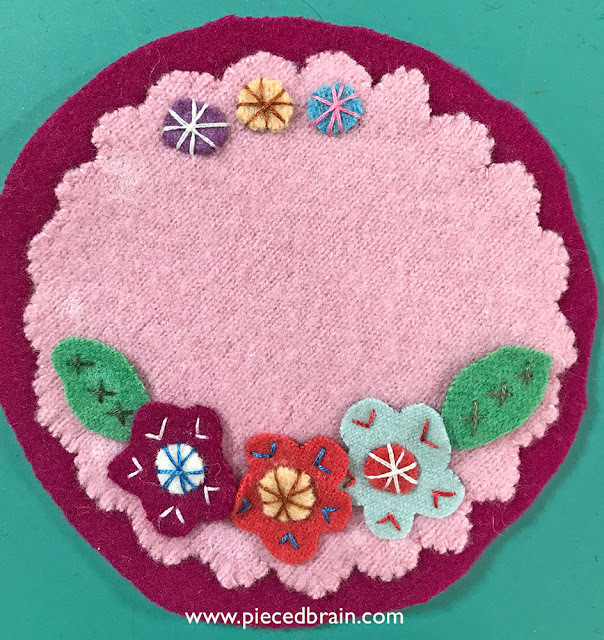 I enjoy the primitive look of many wool artwork, but I just love how Roseann puts a bright, colorful spin on her American Folk Art projects! 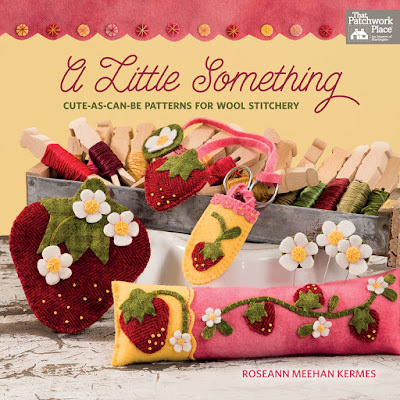 The end of the book has a section called "Wool-Applique' Essentials" where Roseann provides tips, how-tos, and resources so we can speed through preparation and get to sewing those beauties she created. She also gives us ideas on how to further customize and display our work. Cool! 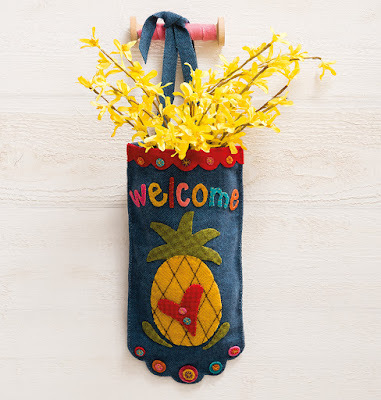 This Hospitality Hanger would look great year-round at the entrance to our homes, don't you think? What a cute pouch! It is functional but would also make a perfect accessory in a girl's room decor. Roseann's choices of colors and textures are amazing. This pillow is so beautiful! 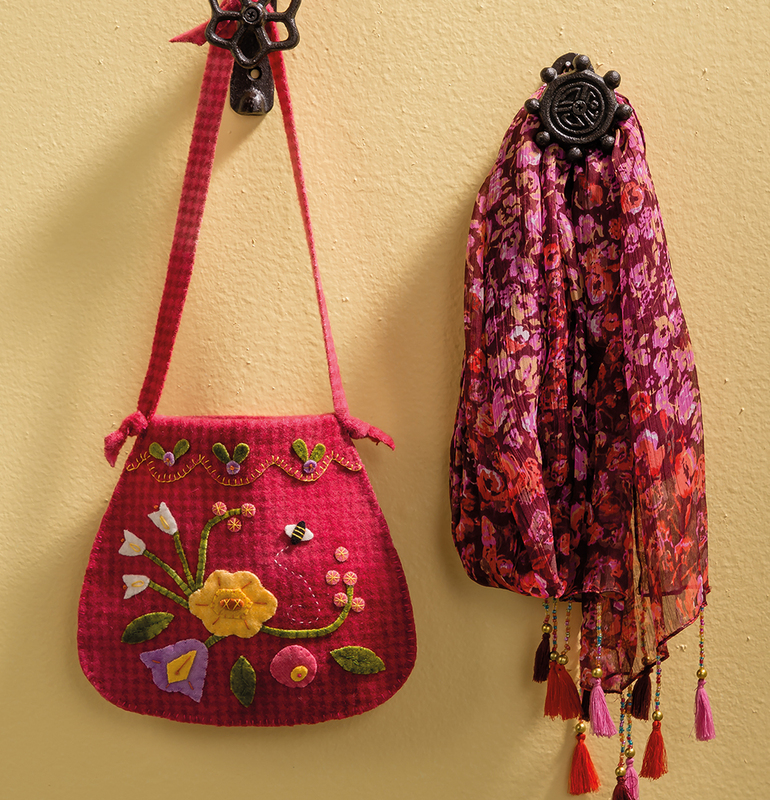 Her work reminds us that we do not have to be master embroiderers to make gorgeous woolly things. I like it! Anyway, the "A Little Something" book landed on my desk at the perfect time. 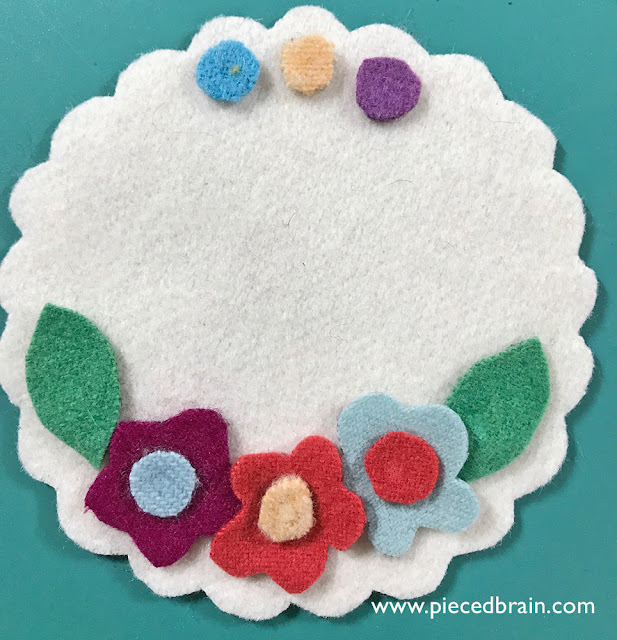 Sometimes, that is all we have time for - a little handmade gift to express our love to family and friends (and which does not require us to spend hours learning a new skill). A winner! 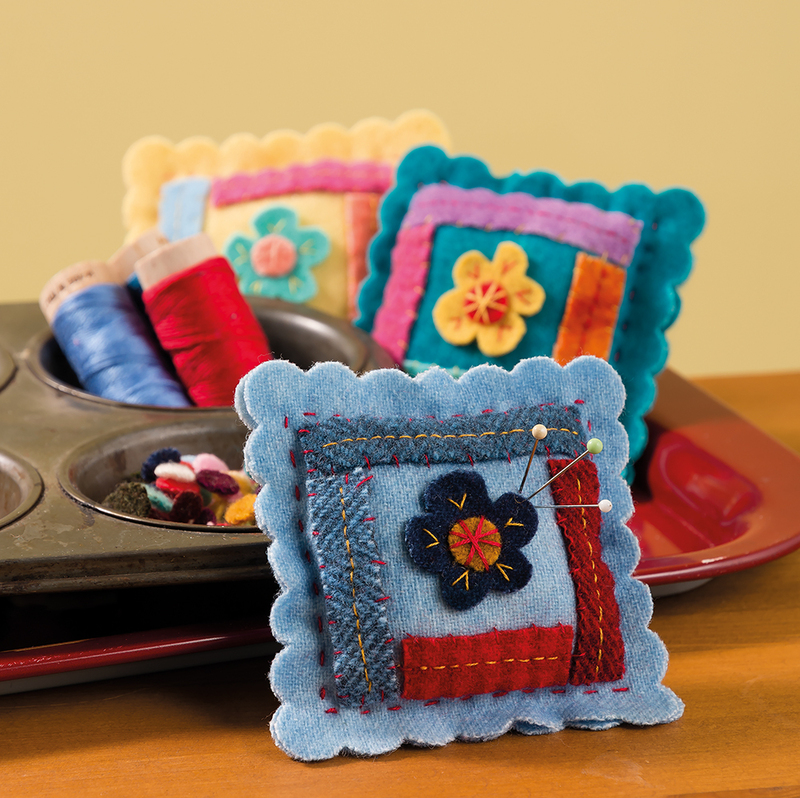 What lovely coasters! And other great ideas for using small pieces of wool. I also like the recycling aspect to this craft.